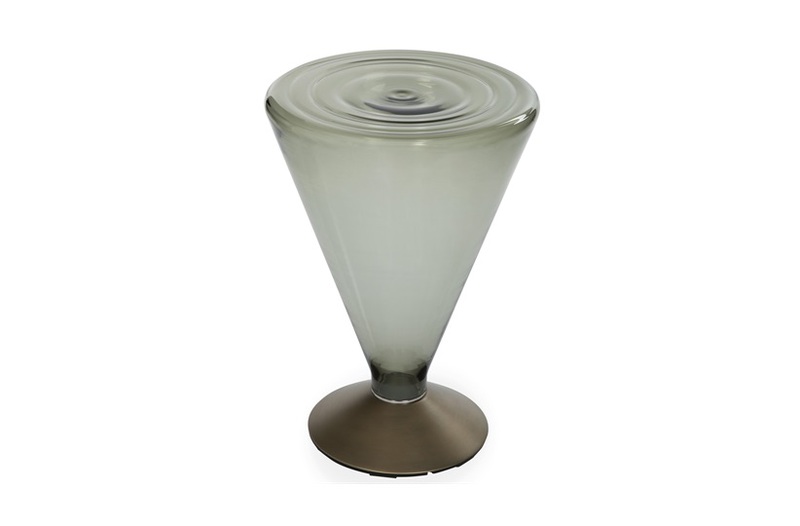 The See table is both edgy and modern with an imaginative design. 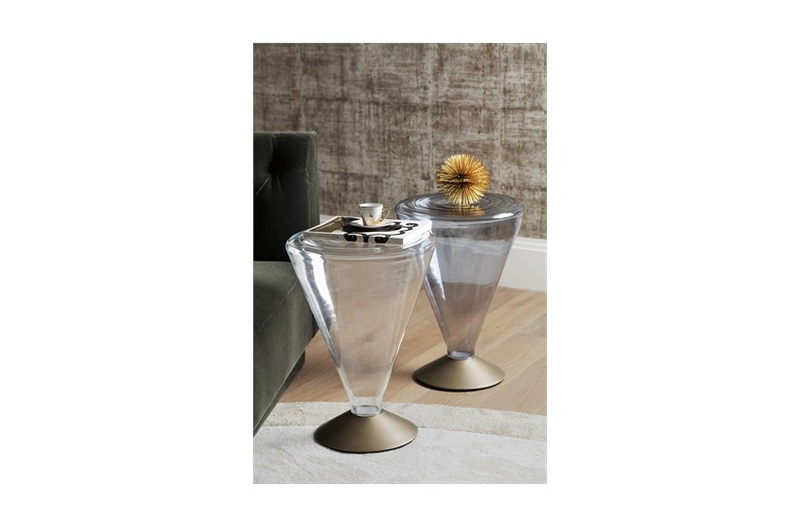 Consisting of two conical shapes and made of Murano glass, the table fuses high-end material in an imaginative way, with playful shapes and and perception. 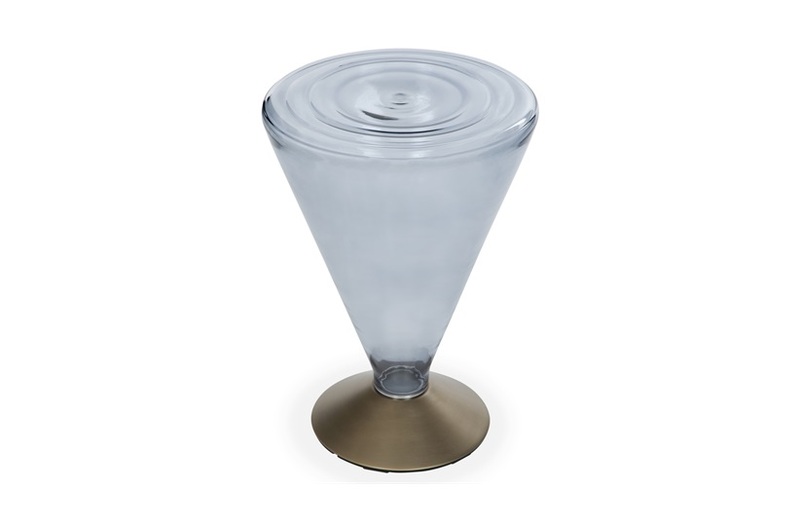 This table could be a fascinating piece of art but with the form and functionality of a side table. 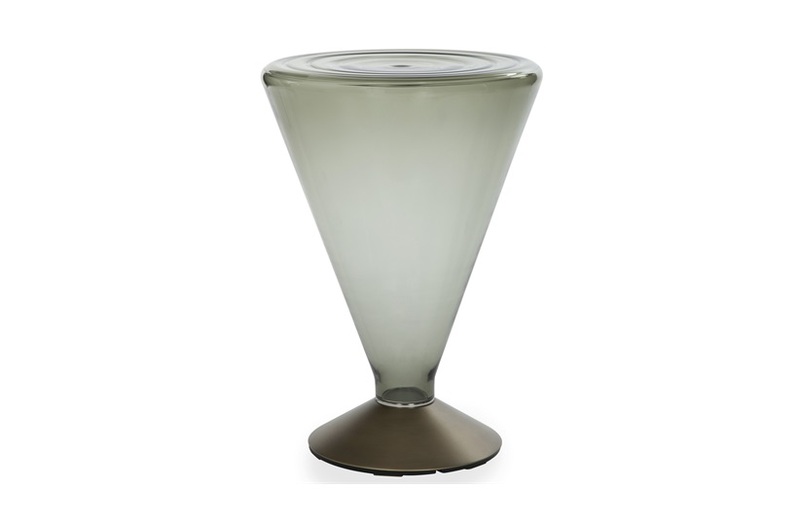 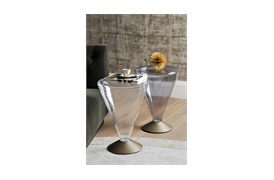 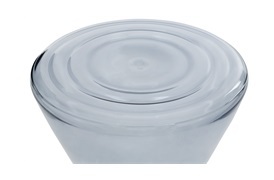 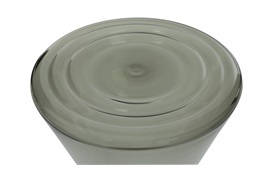 Murano glass side table available in transparent, tobacco or blue-grey. 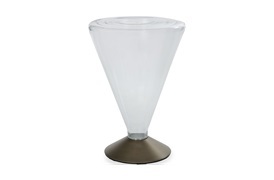 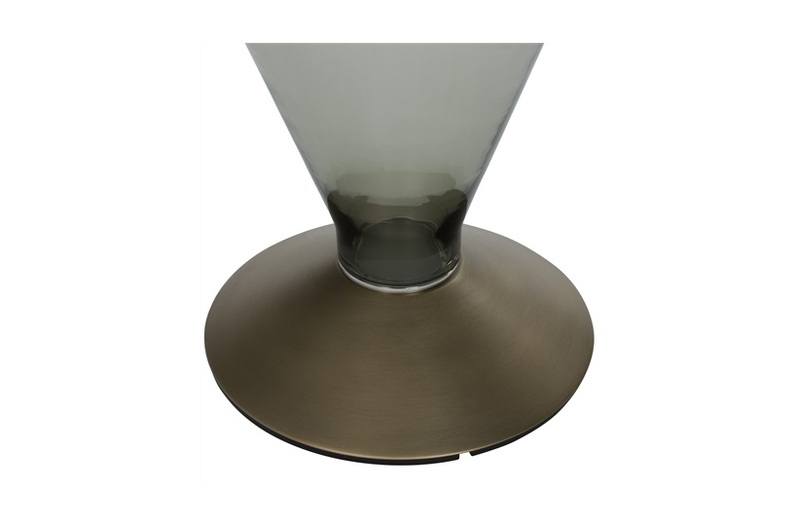 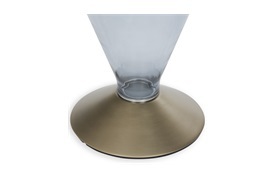 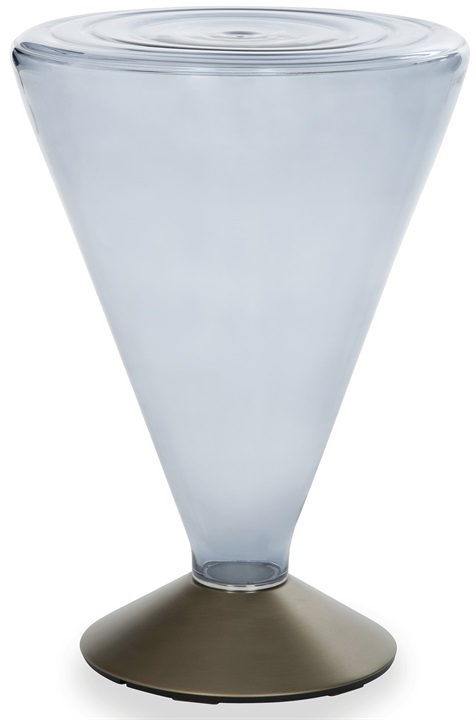 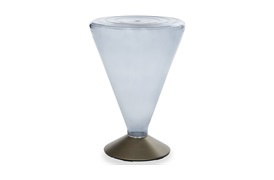 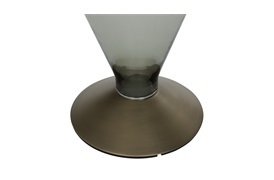 Conical support in antiqued dark brass, satin copper or satin titanium finish.